Has your 2017 small business marketing plan begun to take shape? Or are you still trying to figure out where to start? We humbly suggest you consider starting with your content marketing strategy. Some experts believe content marketing is more important for smaller businesses than big companies, because it’s a great way to build up the brand recognition the big guys already have. If you need more reasons, keep reading to learn more information about why content marketing should be a priority in your 2017 small business marketing plan. Content marketing is a fantastic way to drive traffic to your website, where visitors enter your sales funnel and work their way toward becoming customers. Creating original, interesting, useful, and compelling content will keep people coming back for more, and each visit increases the likelihood that a person will make a purchase. If you like to write, then this is your regular invitation to get creative in the ways that you share information with your visitors. If you don’t like to write, there are plenty of reputable content writers for hire who will be happy to do it for you. The options and avenues for content marketing are constantly growing. No longer is content marketing just about writing website content. Videos, social media posts, special reports, white papers, e-books, webinars, and just about any other way you can think of to share information constitutes content marketing. Which method will work best for your business? It depends on your audience. Their preferences and habits should dictate your content. The more expert knowledge you share with your audience, the more people will view you as a thought leader in your field. Being seen as a subject matter expert solidifies your authority and increases people’s trust in what you do. The more concrete your reputation is, the more likely people will be to reach out to you via your website. It will also attract the attention of other people of authority. Once you get them linking to your pages on their own websites and social media channels, your audience can begin to grow exponentially via link building and social sharing. Once you begin putting all of this content out into the world, how do you tell if it’s working? A great way to track the success of your content marketing efforts is to use Google Analytics. This free tool offers you reports detailing how each visitor navigated to your landing pages. It could be from a Facebook post, your YouTube channel, a Google search, or perhaps an external link. 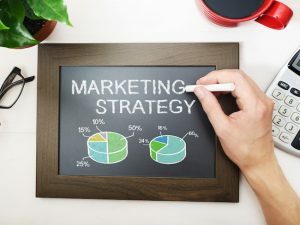 When you begin to see a pattern in how people reach your website and begin converting, you will know which content marketing strategies work better than the rest. It seems like search engine algorithms and marketing trends are constantly changing, but content will remain king in 2017. It’s smart to look into trying some new strategies for sharing content, but don’t neglect the tried-and-true methods that have gotten you where you are today. Start the New Year off right by nailing your content marketing strategies. To maximize your 2017 small business marketing plan, click to request a complimentary SEO analysis.